Male arctic ground squirrels are highly territorial and often exhibit infanticide toward non-related offspring. Arctic ground squirrels may remain in hibernation for up to 9 months out of the year. 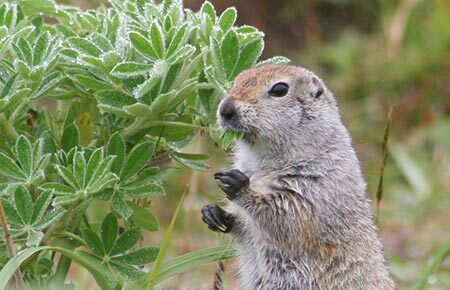 Ground squirrels are called "parky squirrels" locally because their skins are used in traditional clothing. A few master skin-sewers still painstakingly stitch them into women's fancy parkas. 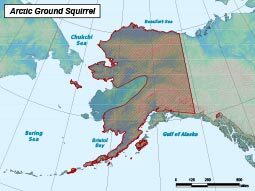 No specific protection; ground squirrels may be hunted throughout the state and trapped in Southeast Alaska without regulation (no closed season or bag limits).